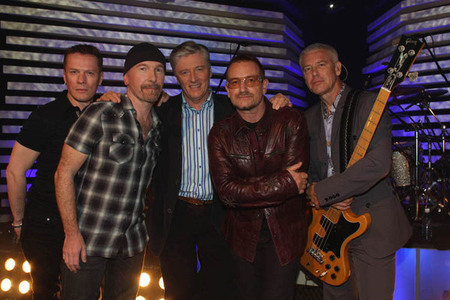 The band were guests of Pat Kenny last night, his final appearance presenting RTE's Late Late Show. After Magnificent and presenting Pat with some gifts, they also had some serious conversation. Edge, for example, has been looking at the build of the new show and thinks they might have designed the Eiffel Tower. Ali Hewson and fifty student gardai are abseiling down Ireland's tallest building today. They're raising funds to create 'Homes of Hope' for children whose lives have been devastated by the Chernobyl disaster of 23 years ago. The band performed Magnificent on The Late Late Show in Dublin tonight, special guests for the tenth anniversary - and final show - hosted by Pat Kenny. 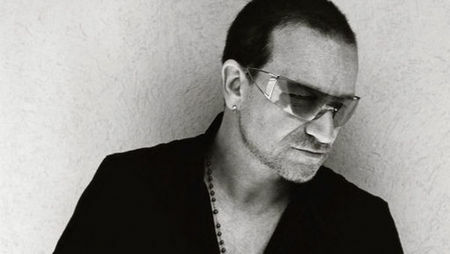 In introducing Cat Stevens Bono came on stage for a few words. 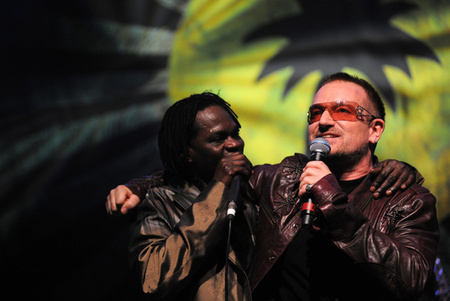 U2 joined Senegalese artist Baaba Maal on stage tonight as part of London's celebrations for Island 50. Baaba and Yusuf Islam (Cat Stevens) were sharing the bill at Shepherd's Bush Empire. The band joined Baaba Maal for a version of U2's 0ne to the surprise of the sold out crowd. 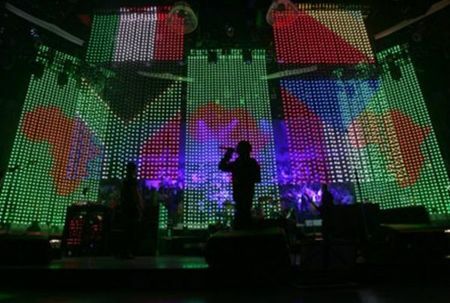 Our latest shots from the stage build in Belgium capture the sheer scale of the 360° tour production. Impressive! Just forty days till showtime and maybe you're starting to think what the set list is going to look like. 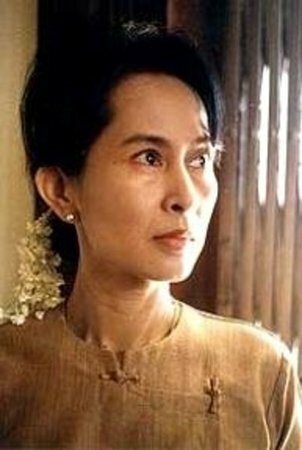 Bono has joined George Clooney, Desmond Tutu, Stephen Spielberg and others in calling for the release of Burmese leader and Nobel Peace Prize Laureate Aung San Suu Kyi. It's less than fifty days to Barcelona and the opening night of the tour. 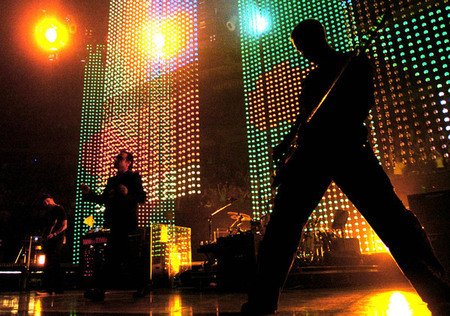 With the new stage being built and forty four shows coming up between June and October, it got us thinking about the last tour - Vertigo 05/06. Were you there ? 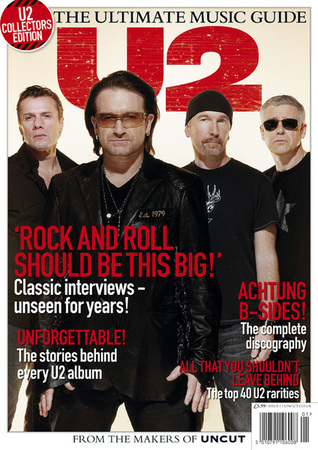 Billed as 'The Ultimate Music Guide to U2', a new magazine special from the makers of 'Uncut' is just on the streets. 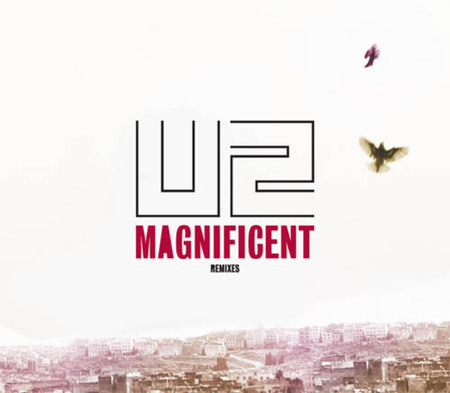 Shot in Morocco, directed by Alex Courtes, starring Adam, Larry, Edge and Bono... could only be the video premiere of Magnificent. Enjoy. The new single is Magnificent and it's now on release - along with a series of genius remixes. Take a listen. 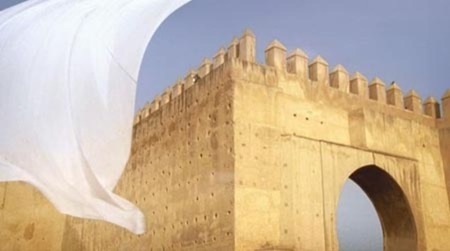 A few weeks back the band headed out to Fes, Morocco, to make a video for the new single, Magnificent . Here's our exclusive behind-the-scenes doco on the shoot.